One of the two 25-ton capacity Bessemer converters at Workington. 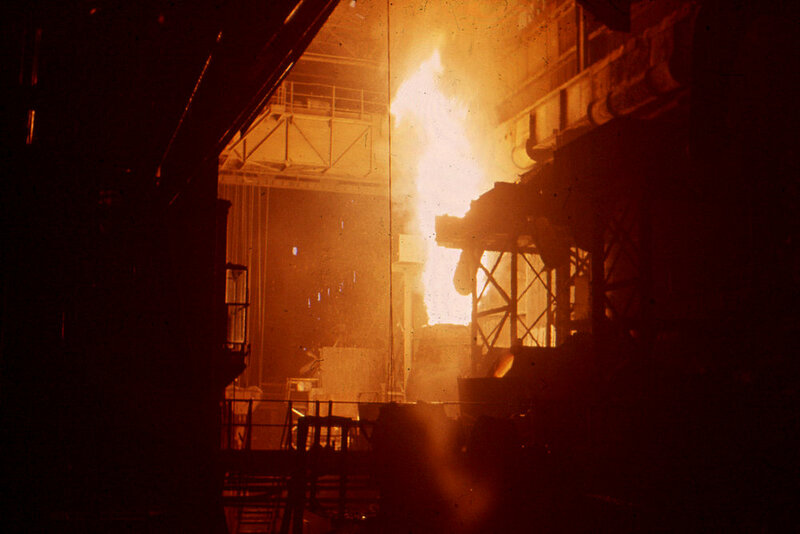 The final 'blow' on 26th July 1974 ended 97 years of steel making at Moss Bay. The bessemer is in the final stages of its 'blow' here, as the flame is white, indicating that carbon is being burned off. Work started on the 25-ton Bessemer Converters in early 1934, superseding the three 16-ton vessels installed in 1912.